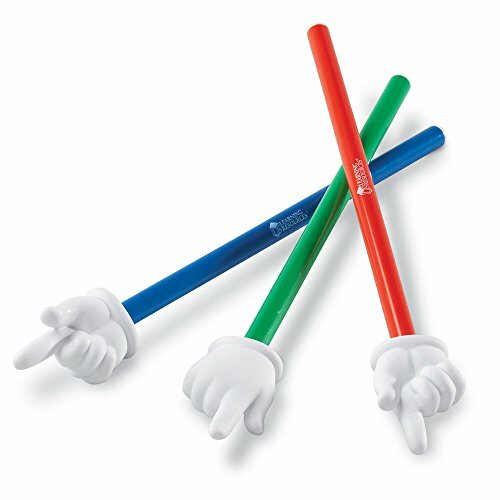 Focus attention and encourage classroom participation with these whimsical hand pointers. These 15” pointers are ideal to use with whiteboards, interactive whiteboards, pocket charts, maps and overheads. Set of 3.